UPDATED JANUARY 21st 2014: Added new image with Leona ‘Binx’ Walton and Amanda Murphy. 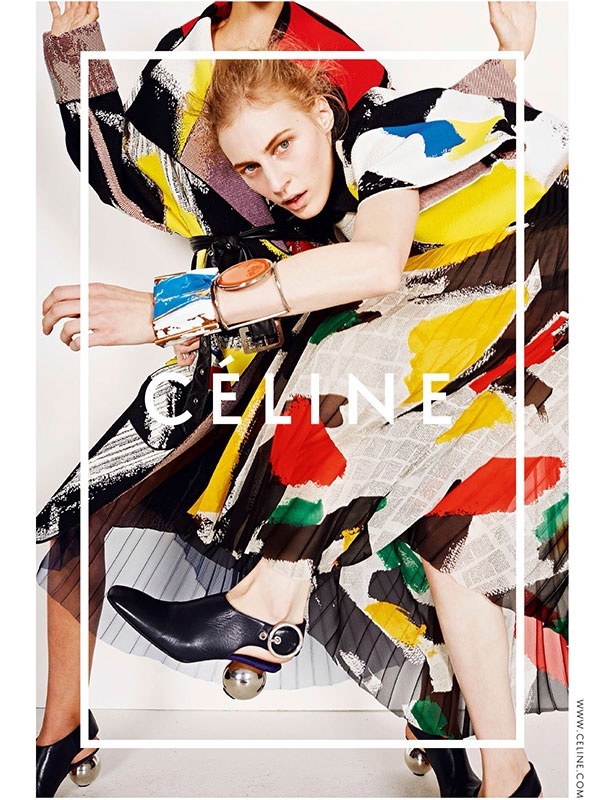 UPDATED JANUARY 11th 2014: The campaign images were photographed by Juergen Teller and Stephen Galloway. 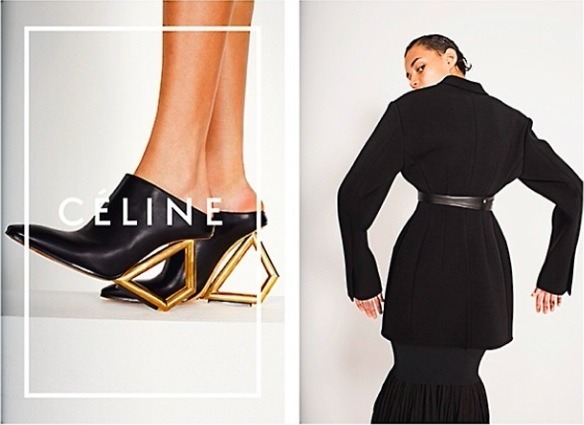 Click the links to view past campaign images of Céline: Fall Winter 2013, Spring Summer 2013, Fall Winter 2012, Spring Summer 2012, Fall Winter 2011, Spring Summer 2011, Fall Winter 2010 and Spring Summer 2010. This entry was posted on Tuesday, January 7th, 2014 at 2:18 AM	and tagged with Amanda Murphy, Binx, Celine, Daria Werbowy, Juergen Teller, Julia Nobis, Leona Binx Walton, Leona Walton, Stephen Galloway and posted in Ad Campaign, Models, Photographers. You can follow any responses to this entry through the RSS 2.0 feed.